A few, less sensationally inclined commentators suggested at the time that officials seemed determined to nail Ms. Stewart by any and all means. Notable among those was Alan Reynolds, an economist and nationally syndicated columnist, whose excellent 2003 article, “Obstructing Injustice: The Stewart Chase,”1 detailed the shifting emphases of that pursuit and its dangerous import to all citizens. Mr. Reynolds noted that early charges of insider trading made against Ms. Stewart were publicized in dramatic news items, but were never officially brought because the insider trading case quickly broke down for lack of evidence. Officials then indicted Ms. Stewart for “conspiracy to obstruct justice,” charging that she made “false and misleading statements” about her case. Actually, she had attempted to refute the insider-trading allegations on her web site – essentially disputing what became a non-indictment. The indictment said Ms. Stewart’s web-site defense amounted to trying to prop up the price of her own company’s stock. This, if you are caught at it, is stock-trading’s Unforgivable Sin – equivalent to “he lied to the American people” (cf. Richard Nixon) in the political venue. If you are totally confused by now, you should be. Initially, I was, too, but I finally got a handle on it after reading numerous articles, including the one by Mr. Reynolds.1 (Readers should read it, too – especially if they have any straight hair in need of curling.) The thinly constructed indictment (say I) looks like a derriere-covering move by officials who recklessly threw charges around – surely not for any career-aggrandizing reasons – before an actual case was made. 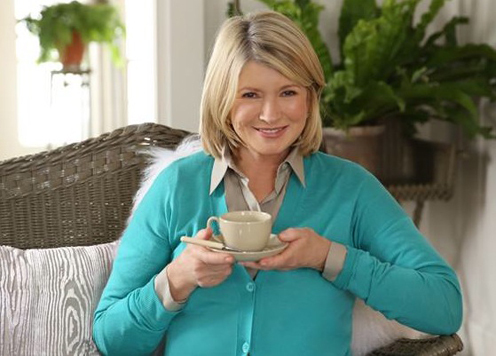 Having rehearsed these details for clarification, I want to add that I have nothing in common with Martha Stewart, am indifferent to her commercial and entertainment enterprises, and shall never remotely approach her personal wealth. I own no stock in her company, and have never watched her TV programs. Her fate does not touch me in the least. But I agree with Mr. Reynolds and others that the Government’s prosecution of her doesn’t pass the smell test. I dislike government’s aggressive actions against Ms. Stewart because the case evokes Ronald Reagan’s maxim that “a government powerful enough to give you anything you want, is powerful enough to take everything you’ve got.” If a public figure of Ms. Stewart’s stature can be brought down on shifting and nebulous charges, then anyone can be brought down at the whim of a government official, any time. That does not make me feel secure. Lavish expenditures of resources on a trivial and trumped-up case also offends my sense of civic stewardship. It reminds me too much of traffic enforcement – where tall, booted officers cite terrified housewives for minor traffic offenses, while real criminals enjoy the diversion of resources away from their activities. This is pretend law enforcement – focused on busting law-abiding citizens for traffic boo-boos because it’s easier and safer than chasing dangerous criminals. The Stewart case feels enough like this to make me wonder what real crimes the government is neglecting while chasing her and crashing her stock. Although endlessly fascinated by the glamorous lifestyles of the rich, we also hate them and relish any chance to see them diminished. Pandering to the public’s visceral envy of wealthy people is unseemly. The political heirs of Washington, Hamilton and Lincoln should not be feeding this degenerate public vice. I never realized how deep our hatred of rich folks ran until the sensational Patty Hearst case in the 1970s. Miss Hearst, a wealthy publisher’s daughter, was kidnapped by terrorists of the so-called Symbionese Liberation Army on February 4, 1974. The FBI’s half-hearted efforts to find her came up empty. But when she showed up with an automatic weapon in a bank-monitor video of a robbery in April 1974, the FBI leapt into action. 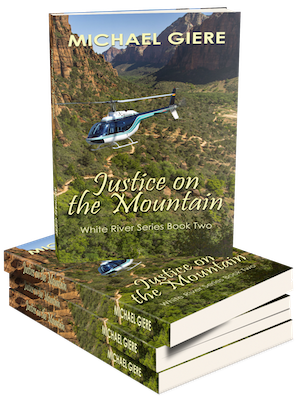 They made her Public Enemy Number One and launched a nation-wide dragnet. (I’m not making this up!) She was quickly captured and charged with bank robbery. In an earlier article, “Infamous Media Lynchings”2 I described the Kafkaesque circus that marked Miss Hearst’s 1976 trial and conviction. I said it was worthy of Saturday Nite Live, although it might have failed even that venue’s (low) credibility standards. One observer said the trial’s subtext was a “race between reporters, attorneys, and ex-boyfriends to see who could get their book published first.” Cries of “no leniency for rich kids” (reminiscent of a Paris mob sending aristocrats to the guillotine) drove officials forward. Ultimately Miss Hearst was convicted on one count of bank robbery and sentenced to 35 years in prison. Her sentence was judicially reduced to seven years – matching the sentence SLA leader Bill Harris received in 2003 as accessory to the murder of Myrna Opsahl during a 1975 bank robbery. In 1979 President Carter finally commuted Miss Hearst’s sentence, and she was freed. 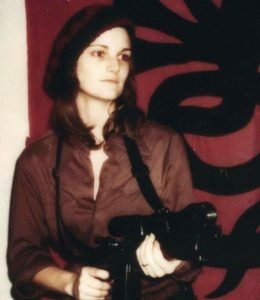 I consider Patty Hearst’s ordeal to be one of the worst miscarriages of justice in our history. We actually prosecuted and imprisoned a victim whom we had failed to protect from violent criminals. We let our envy of rich people get the better of us. And then we repeated the atrocity in the Martha Stewart case. Skipping blithely forward to the present, we have Special Counsel Robert Mueller’s investigation into President Trump’s supposed “collusion” with Russians who stole the presidency from Hillary Clinton in 2016. After spending $20 million over 18 months and finding no evidence of collusion – nor any credible theory of how Russian agents might have perturbed the election – Mr. Mueller is squeezing Mr. Trump’s associates on unrelated crimes to see if they can be persuaded to sing. Of course, lying to Congress is not a good thing – particularly because it’s so unusual. (I doubt if it’s ever been done before.) But all seriousness aside – an abandoned hotel project in Moskva got Russian agents to steal the election? That’s it? You don’t know whether to laugh or cry. Was there nothing better to do with $20 million? Could somebody please get the hook before we all fall through the Looking Glass? Long ago, as a small boy, I fell in with a gang of tough older kids who committed acts of small-time vandalism. One day I was with them as they threw stones through the windows of an abandoned house. A neighbor came by and chased us. I was too young to know when to run, so I faced her, frozen in place. She recognized me, but she didn’t scold. She said: “I know you. I know your parents. I knew your grandparents. You know better than this…” I slunk home with her quiet words burning my ears. The memory of it still makes me feel ashamed. I never hung out with those boys again. We knew Patty Hearst was a spoiled rich girl who “deserved” what she got. And we knew Martha Stewart must be guilty because rich people always succeed because of wrongdoing. Now some of us know Mr. Trump must be guilty. How else could he have succeeded in snatching the presidency from Hillary?